What are Air Brush Tattoo? 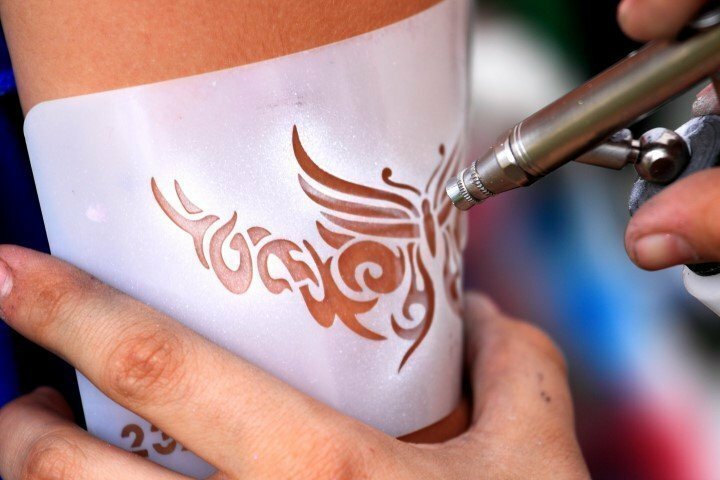 Air brush tattoos are created by placing a stencil on skin & delivering the tattoo ink with an air brush. Our air brush tattoo is 100% safe, clean and easy to remove. What design can i choose? We do provide a book of stencil design for your guest to shortlist. We can also do customized stencil for corporate logo or logo for marketing purposes. Air Brush Tattoo typically last between 2 – 5 days. Air brush tattoo is waterproof and durable on most occasion. However, they can also be easily removes by using a warm cloth and rubbing alcohol to scrub them off. Looks for something glittering instead? Look no further than our glitter tattoo series. 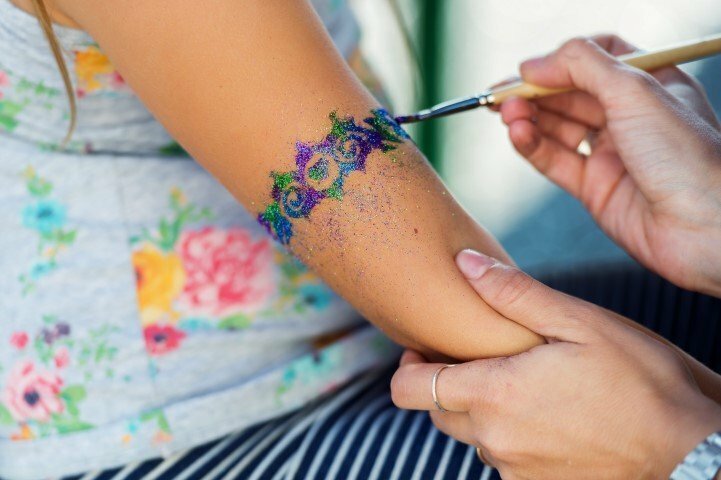 These tattoos are applied with a stencil, brush and body glitter; a super fun activity that gives kids a piece of wearable art to show case with. How long can a glitter tattoo last? Glitter tattoo can last for around 3 to 7 days. It can also be easily remove by scrubbing it. How is a Glitter Tattoo applied? All products used in glitter tattoo are FDA approved and hypoallergenic. The glue that is applied to the skin surface is a gentle, non-toxic and latex-free cosmetic glue, made specifically for skin use.